Polygon reported that Blizzard Entertainment has issued an invitation to several gaming news networks to attend a press event at GamesCom on August 21 at 11:30 a.m. CEST (5:30 a.m. ET). This press event is to make a special announcement concerning Diablo III. It is Blizzplanet — what can I say? Speculation is inevitable with such an invitation tease. Polygon thinks the special announcement refers to the console port. It is a possibility. Yes, it is. Likely a new PS3 feature or PS3+PC/Mac feature that was not announced yet, but the tease might be something more. 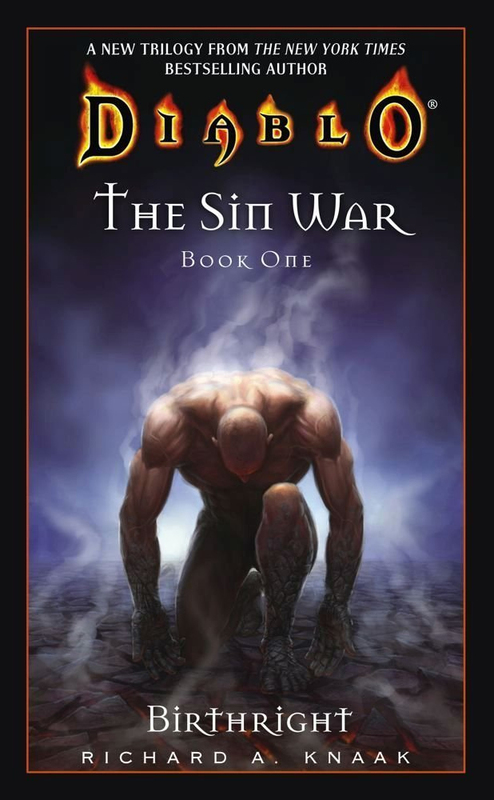 The way it entices “all the shadowed places that lie between” rings a bell to me and to everyone who read the Diablo: The Sin War trilogy (2006) novel by New York Times best selling author Richard A. Knaak. Why is that? Because between the High Heavens and the Burning Hells there are other shadowy places … other unexplored worlds other than Sanctuary. Worlds that have been taken by the Prime Evils for milennia, and by the Angiris Council. Places that have been sieged by both factions. Captured and lost and regained for aeons. I am not making this up. No. It is in the lore canon. If you haven’t taken the time to read Richard A. Knaak’s canon novel, you should now. Because if this GamesCom 2013 Press Invite is what I think it is — you may want to begin buffing up your lore of what’s coming … in the Diablo III expansion. The dragon grew wary. “How so? How can that be?”. They left him, then, all the others who stood guard as he did over their separate worlds, left him with the knowledge that it was his Sanctuary whose imminent fate might decide theirs. 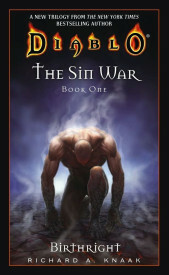 — source: Diablo: The Sin War Trilogy — if you have The Veiled Prophet pocketbook look for page 168. There is a eBook version that contains all three novels for Kindle, PC internet browsers (Cloud Reader) and other mobile apps. Now — why do I come to the conclusion that Blizzard Entertainment might or not announce the Diablo III expansion at GamesCom when “you” the fans are 100% certain such a Diablo III expansion announcement will be done at BlizzCon 2013 or a future BlizzCon? Diablo III was announced at the 2008 Blizzard Worldwide Invitationals in Paris, France. Thus, hopefully now I have weakened your 100% resolve that a Diablo III expansion CAN’T be announced outside BlizzCon, and instead lured you into my web of blatant and impossibly sweet speculation. GamesCom is the biggesst gaming convention in the world. If Blizzard had plans to showcase a Diablo III demo at BlizzCon, then GamesCom is the best place to announce the Diablo III expansion — to drive all the world’s press to talk about the expansion. Everyone and their cat would be, thus, keeping an eye to the BlizzCon 2013 DirecTV livestream. Wait … cinematic tweet, and press invite emailed out to gaming news outlets within a few hours. Not everything that looks golden is gold, but gee ain’t that a tease? Sounds like the Diablo III expansion [might] be announced along with a cinematic teaser to leave fans itching until more info comes out at BlizzCon. Exactly what happened at the 2008 Blizzard Worldwide Invitationals (WWI) and four months later BlizzCon 2008 hit us with waves of info. But don’t trust this minion’s word for it. It’s mean of me to weave you tight into my speculation web, and then let you down, but that’s how speculations work. It’s a binary capricious thing. One and Zero. It becomes true and happinness, and euphoria reigns you; or it slaps you in the face (false). Whether the speculation is true or not, simply enjoy what Blizzard Entertainment has in store for all fans across the world. They don’t hold a press event invite for giggles. Something really awesome is coming, folks. Update: After thorough thinking, there is also another possible “shadowy places” reference. Blizzard All-Stars contains characters from Warcraft, StarCraft and Diablo games.